Tegan, an owner of 5 Monkeys Tattoo, is an award winning, published tattoo artist who has worked all around the country and its territories. Tegan was diagnosed with breast cancer in 2012, and later created an online breast cancer support group on Facebook called Warriors Together, which currently has over 275 members. 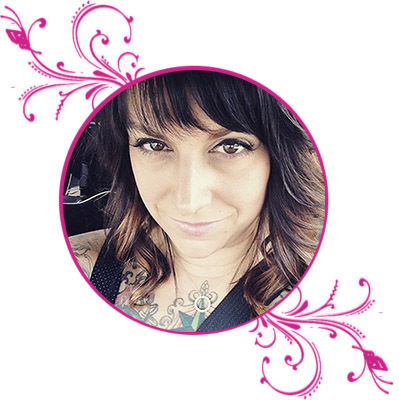 Combining her professional career and her passion for helping other women going through breast cancer, Tegan has taken a special interest in creating mastectomy tattoos for fellow survivors. Tegan and her husband Josh currently live in Durham, NH, and have two children, Talon and Joslyn. In her spare time. Tegan enjoys painting, drawing, working out, yoga, travel, and on a rare occasion pampering herself or shopping. My Breast Cancer Support is an independent NH 501C3 non-profit organization with no affiliation to any national organizations.